It’s been a long time since I’ve put an entry up here. I usually don’t put up personal posts but this one really needs go up here. Yesterday I had to farewell my best friend after she was put to sleep after what we thought was a short illness but was probably a lot longer than what we thought. Our beloved Shar-pei, Brandy, Peiard Queenof Hearts, passed away yesterday (22 Jan) after going into full organ shutdown on Tuesday night (21 Jan). We are not completely certain on what the cause of her organ failure was but we suspect that it was caused initially by Familial Shar-Pei Fever (FSF) , which appears to have led to full organ failure caused by Amyloidosis. This is an awful disease, that appears to only occur in Shar-Pei. 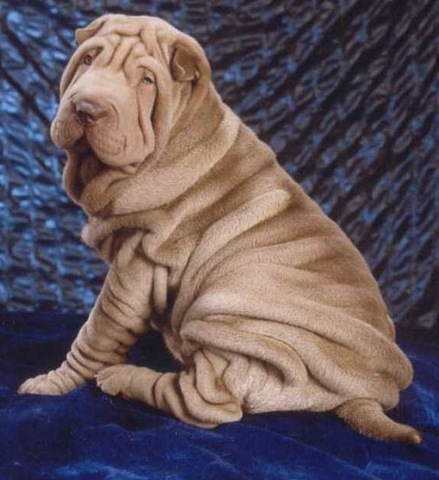 Very little is known about this disease so this I’m writing this post to raise awareness of it to both current Shar-Pei and prospective Shar-Pei owners. I don’t claim to be an expert so I’ve put some links in this article to Dr Jeff Vidt’s site who has provided me invaluable advise over the last 10 years that I have been lucky enough to have the companionship of these lovely dogs. One question that a lot of people have already asked is whether we’d get another Shar-Pei, the short answer is a very definite “NO”. Over the last 10 years we’ve had 4 Shar-Pei, and I’ve got to say that these have been the loyalist dogs we’ve ever had, but this can also be there downfall. Although the majority have had exceptional temperaments (except 1, Kilin), they all remained extremely weary of strangers which made them difficult to take and about. Having bred them, what is most worrying is that there is no real effort to breed out the genetic problems in the breed . Brandy has been our longest living Shar-pei who had made her 8th birthday a few days before she passed, but we’ve also had to make some tough decisions where we have put our previous 2 girls to sleep less 2 years old; Coco, who had a brain tumour and Kilin, who had severe skin and temperament issues. The facts are that the Shar-Pei are very problematic breed. The most heartbreaking part of all this was that when Brandy showed the first signs of the Amyloidosis, it was all too late. She had severe oedema of the left leg, consistent with a swollen hock which is a symptom of the Amyloidosis, 3 days prior to organ failure occurring. At this point I’d like to stress that the diagnosis of Amyloidosis is only suspected. Given that all Brandy’s offspring we’re never bred we have chosen not to go ahead with a Congo Red Stain for the definitive diagnosis. In the interest being open and honest Brady’s pedigree is below. I just hope that all breeders will please take a close look at this and please use this to exclude individuals in your breeding program who have similar genetics, as you are all aware, whether you’d like to admit it or not, we all know that this is a genetic disease. This disease is very real and caused Brandy great suffering and pain in her final few days that we knew of, most probably considerably longer. Please also remember that what you are breeding will become part of someone’s family. If anyone would like any further information on any of this please leave a comment and I’ll be happy to pass on anything that I have. The comments are moderated and I’m happy to keep it confidential.